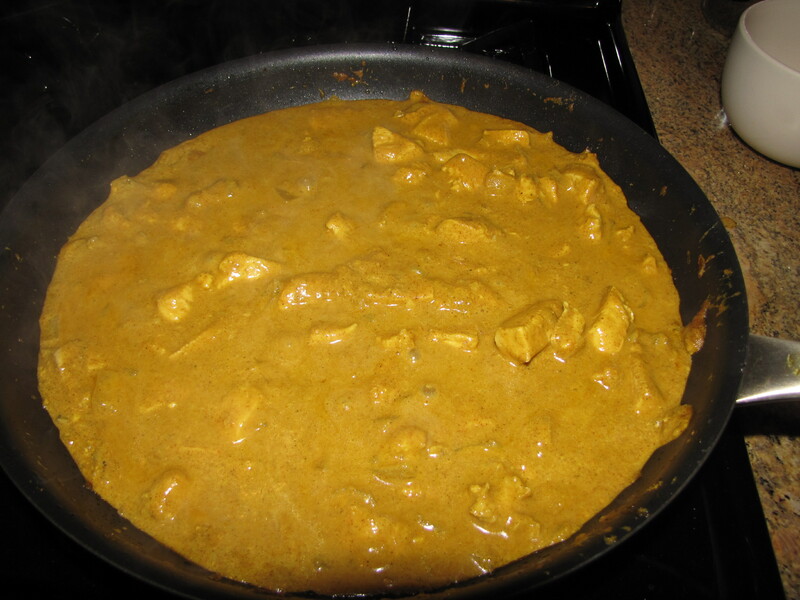 Here is the perfect side to the Indian Chicken Curry recipe I posted. It calls for bread flour instead of all purpose flour. If you are wondering what the difference is, here you go. The bread flour really did provide the extra chewiness as promised in the link, personally it was really chewy. Still really, really good but if you had to substitute with all purpose I think you’d be ok, or may even prefer it. Another note, make this ahead of time. 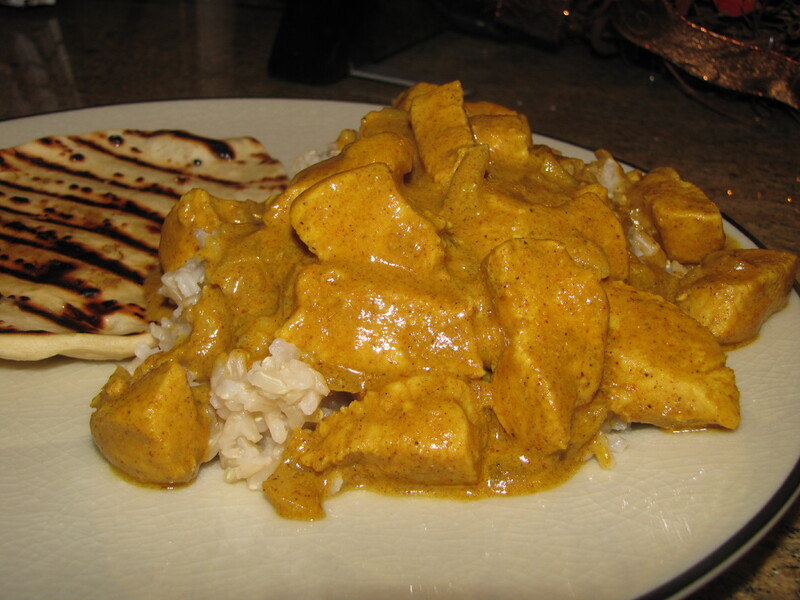 I tried to do it as I was making my curry but since this recipe requires you to roll the naan grill side, its a bit labor intensive and deserves your undivided attention. 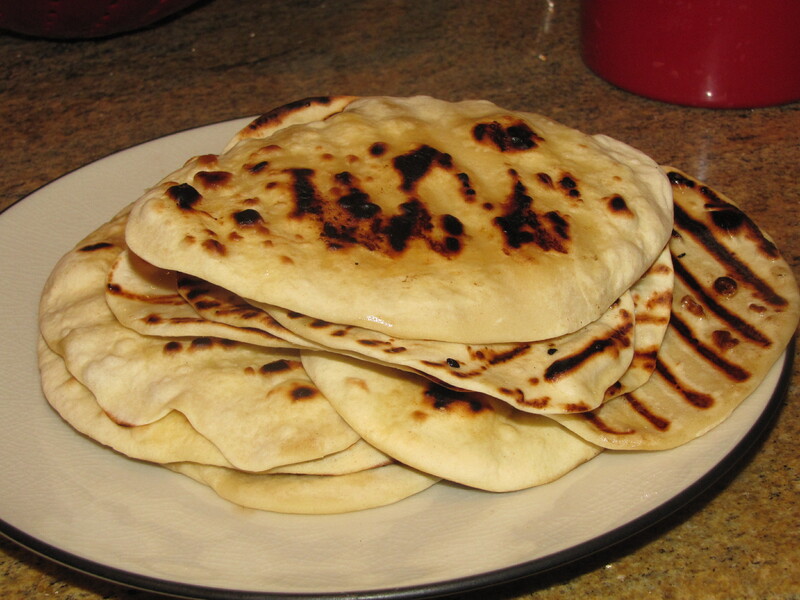 Some of my naan got a little blacker than I wanted and I think not juggling too many things at once would have fixed that. In a large bowl, dissolve yeast in water. Let set until foamy, about 10 minutes. 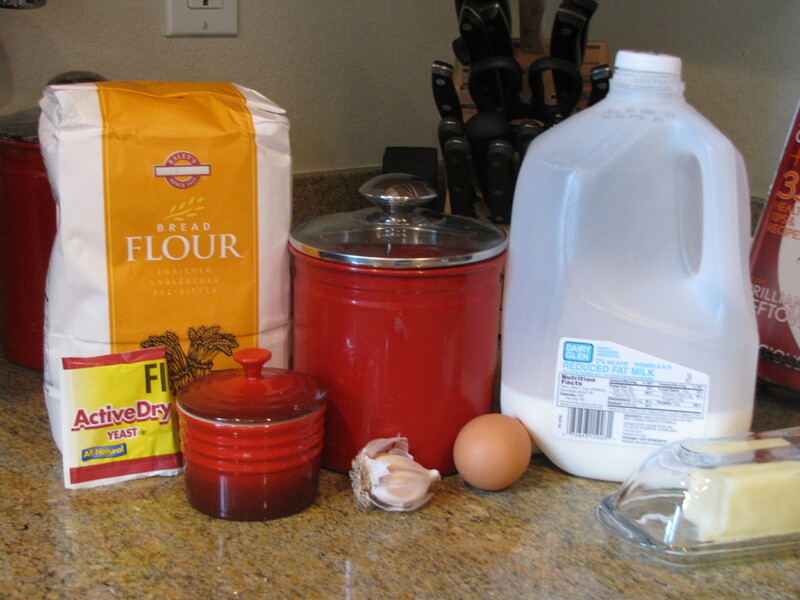 Stir in sugar, egg, milk, salt and flour. 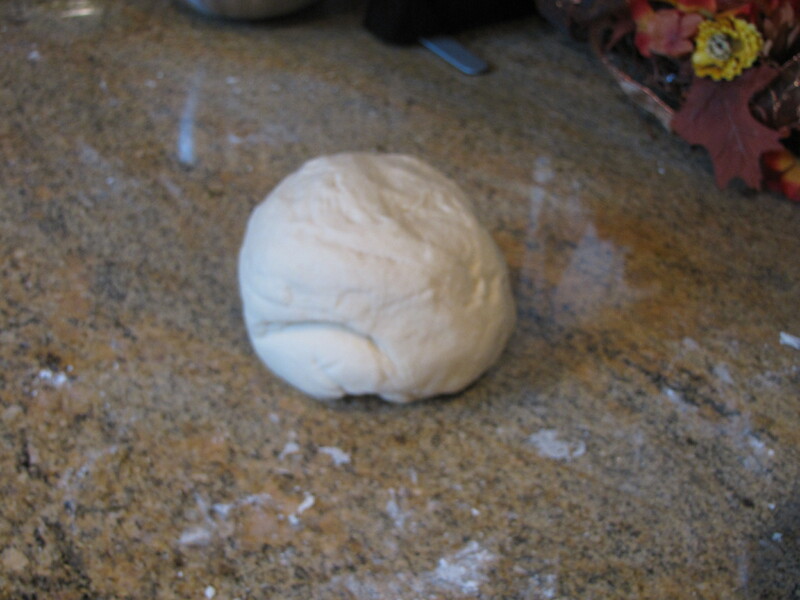 Knead on a floured surface for 6-8 minutes until smooth. Place in a well oiled bowl, cover with a damp towel and let rise for 1 hour. Punch dough down and knead in garlic, if desired. Pinch off small handfuls of dough and roll into golf ball size pieces. 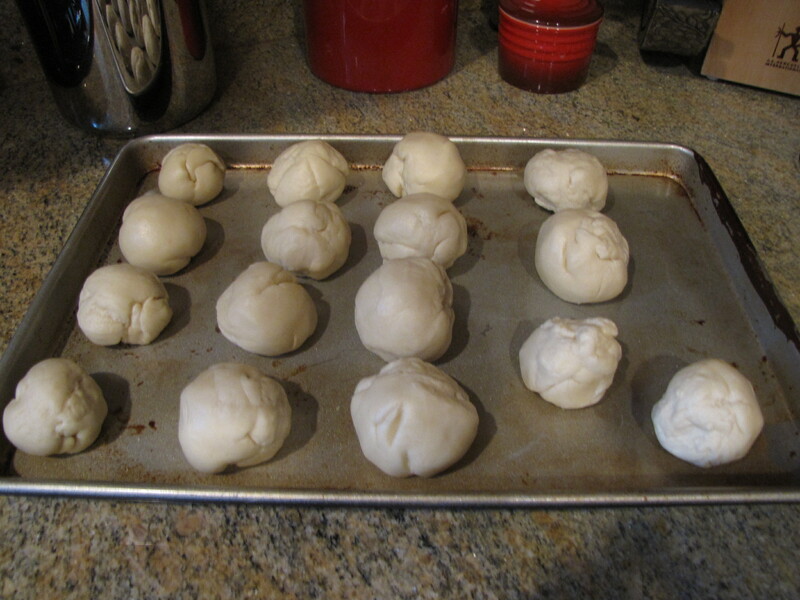 Place balls on a tray, cover with a towel and let rise for another 30 minutes. 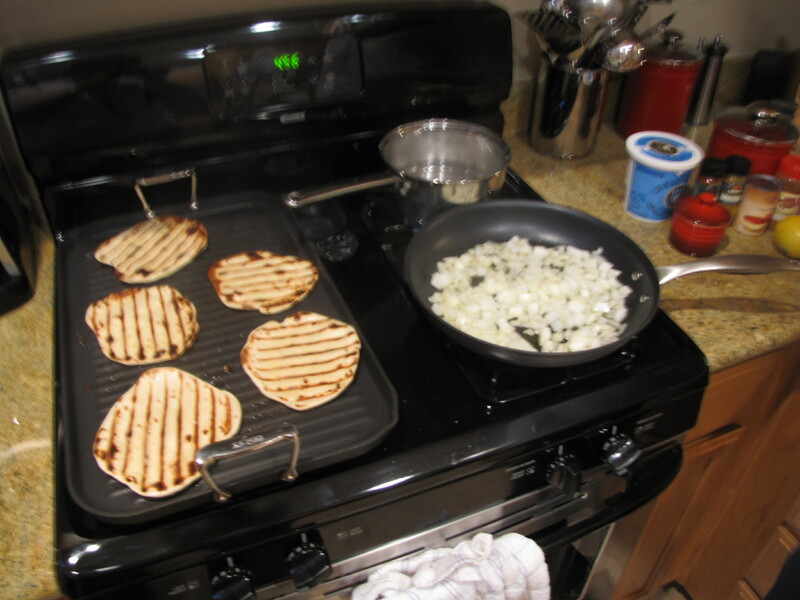 Preheat your grill (I used an all clad stove top grill) to high heat. At grill side roll dough ball into a thin circle. Lightly oil grill. 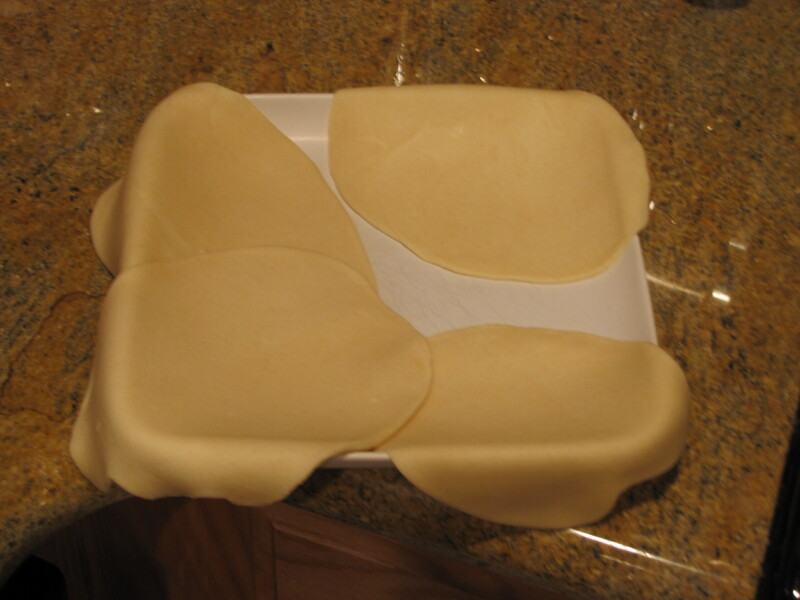 Place dough on grill, and cook for about 2 minutes or until puffy and lightly browned. Brush butter unto uncooked side. Flip, brush butter onto cooked side and cook until browned, about 2 minutes. Remove from grill and repeat process until all dough has been prepared. I am not Indian, I have never cooked Indian nor have I ever been to India. As far as the authenticity of this dish, I can only compare it to the half dozen or so times I have gone to or ordered out from an Indian restaurant and the reviews it got on allrecipes.com, which is where I found it. I’d say it holds up pretty well! My husband and I were very pleased at how well it turned out! It was quite delicious, pretty simple and the house still smells incredible. I served it over rice and with homemade naan. Heat olive oil over medium heat and cook onion until slightly browned. Add garlic, curry cinnamon, paprika, bay leaf, ginger, sugar and salt, stir for 2 minutes. 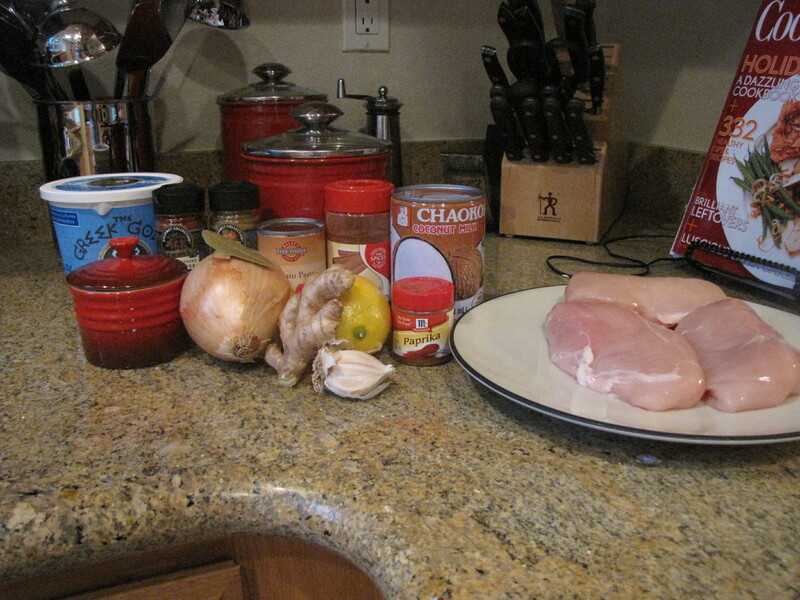 Add chicken, tomato paste, yogurt, and coconut milk. Bring to a boil, reduce heat and simmer for 20-25 minutes. Remove bay leaf, stir in lemon juice and cayenne pepper. Simmer for 5 more minutes.